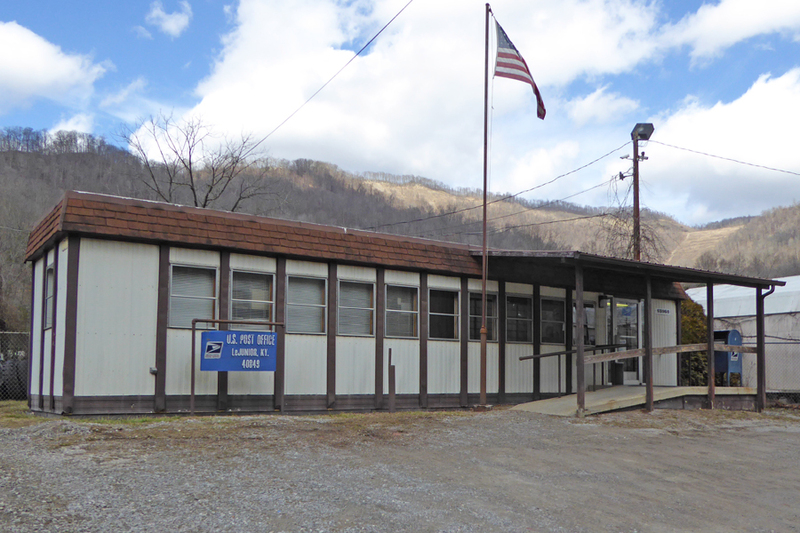 LeJunior, in Harlan County, is on the railroad and Dixie Darby Coal/Fuel Company had at least one mine here. The most active period seems to have been in the mid- to late-40s. I have not yet found an origin for the name “LeJunior”. There is a fair number of pictures of this town and its peoples on the web. A friend passed this along to me, saying he had probably acquired it in the early 80s on a promotion junket to Los Angeles. KOGO is AM600, a yakker in San Diego. However, for a short time in the early 90s, these calls were held by a station in Ventura CA. KOGO has the distinction of once having been owned by Retlaw (“Walter” spelled backwards)…the broadcasting division of the mighty Disney company. This is a little over 2.5″ tip to tip, 3/4″ high. This is a pin back with a butterfly clutch. I found several of them at a church rummage sale. 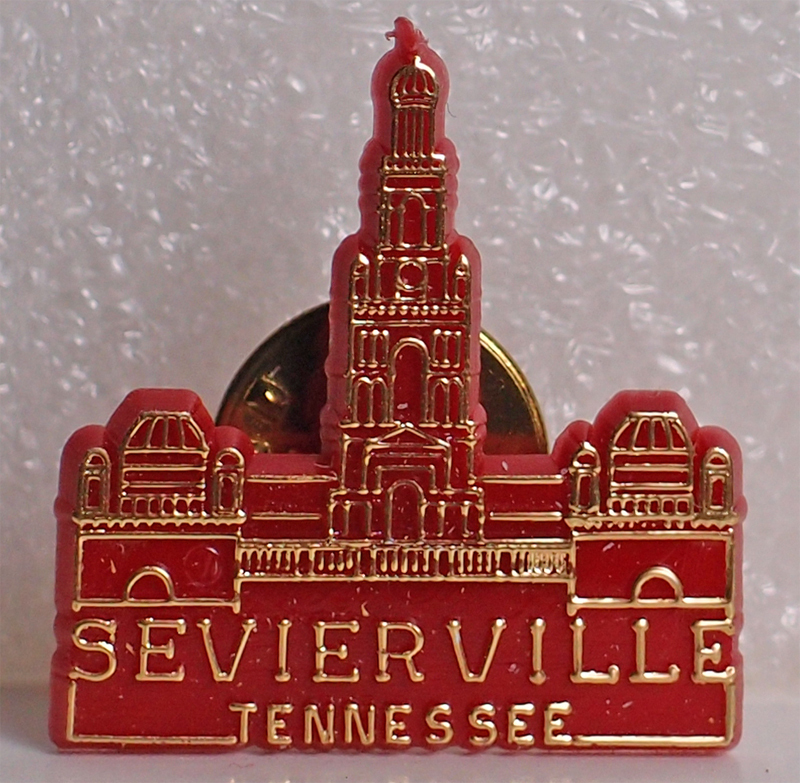 According to the friendly and helpful person whom I contacted at the Sevierville Chamber of Commerce in reference to this pin, this was issued sometime in late 1988 or early 1989 by the Chamber as a handout for miscellaneous groups visiting the city. It is 7/8″ wide and 1″ tall. Gold paint on red plastic. A.D. Hare’s blog has the history of Piney Flats here. This image is poorly presented, I know. I was trying to avoid halations from the sun. U.S. Route 11, 5 1/2 Mi. 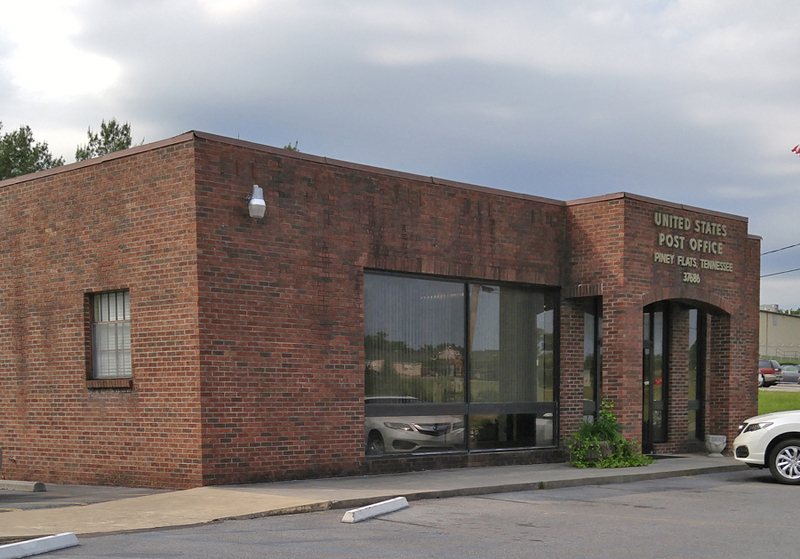 N. of Bristol, Va. Tenn. Air Conditioned Year Round – Tile Baths – Free Television – Hardwood Floors – Near Howard Johnson’s Restaurant. Telephone North – 506L. Pub. by Fred W. Stanley, Johnson City, Tenn.
Genuine Natural Color, Made by Dexter Press, Inc. West Nyack, N. Y. Comment: Howard Johnson’s had killer ice cream sundaes. 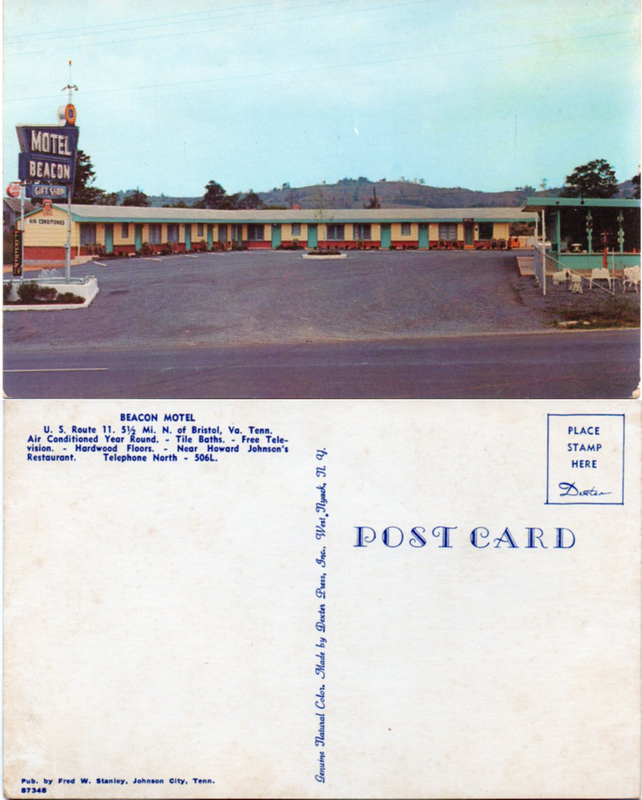 The Hogwild place on West Stone Drive in Kingsport started out as a Howard Johnson’s. 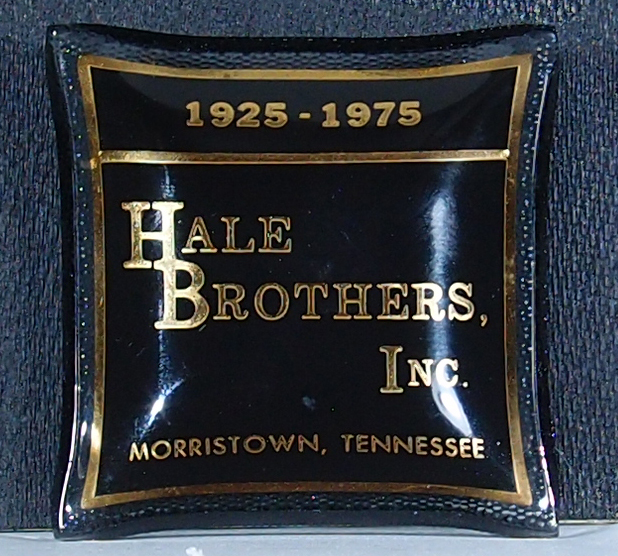 I was born and lived for twelve years in a home just up Main Street in Morristown TN from the old location of Hale Brothers Distributing Company. They dealt in produce and such. You’d see their trucks everywhere (just like the old orange and black ET&WNC delivery trucks). The company was bought by PFC group in 1898. This is about 3″ corner to corner and is concave on this side. I thought at first it might have been an ashtray, but it’s rather small for that. I’d got for a coin dish or something. The back has a pebbled finish.